BATMAN #67 offers an action-packed chase scene, with excellent artwork that may remind some readers of golden age aesthetics. Beyond that, it's basically just setup for a punchline on the last page. It's all filler in terms of storytelling. Bruce is still trapped in his dreams in Batman #67. A masked figure leads Batman on an action-packed chase sequence, racing from the top of the Gotham skyline to the sewers below the city’s streets. The issue provides pleasant artwork and a couple of chuckles. From a storytelling angle, though, it’s pretty much just filler. Without giving much away, Batman #67 compares the relationship between Batman and one of his iconic rogues to that of another iconic cartoon pairing. In the process, it touches on the randomness and deliberate senselessness of the villain’s actions. What the book doesn’t really do: advance the story. The Knightmares arc has occupied the last five issues (not counting the temporary break during the two-issue Batman/Flash crossover). It’s introduced a couple of interesting ideas. However, it feels more and more meandering with each successive issue. That feeling really comes to a head in Batman #67, with the entire issue being basically a 20-page setup to a Loony Tunes joke. Most of the book is dialogue-free, in keeping with the allusion. What is written is enjoyable, but commitment to the bit means there’s so little to actually sink one’s teeth into. It’s always interesting to explore Batman’s psyche. It doesn’t amount to much, though, if it doesn’t also help advance the story. Unfortunately, one gets the feeling they could skip this book, and not miss anything of importance, narrative-wise. That lack of any real drive or sense of purpose here can eventually make readers tune-out. Lee Weeks provides pencilwork for Batman #67, and the art is where this issue shines. Each panel radiates with energy, keeping the action strong throughout the entire chase. Weeks’ style is reminiscent of golden age artwork in many ways. It’s not as dark or detailed as other takes on the character, but it has a great noir, retro-informed tone. Batman is less hulking and stoic as in other versions, and Weeks give him a wide range of expression. That’s not to cheapen other modern-age interpretations, but it’s a pleasant change that we don’t often see for Batman. Of course, Lovern Kindzierski’s brilliant colors help complete the image. Blue, green, and purple tones dominate Batman #67, giving it a very cool aesthetic to match Week’s artwork. 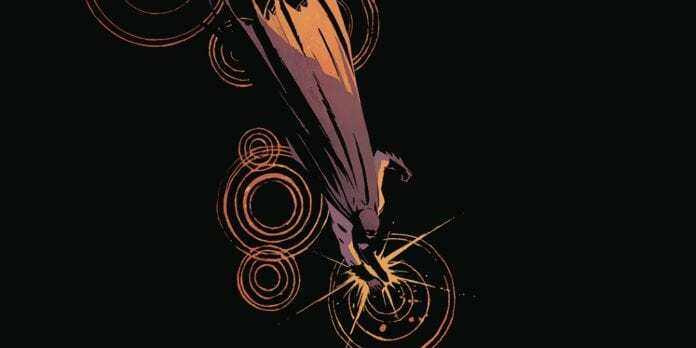 Batman #67 may be worth picking up for the artwork alone. Story-wise, though, calling it “non-essential”may be a little generous.